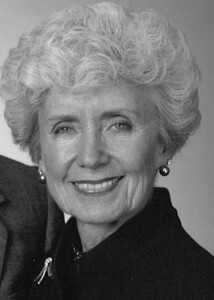 Philanthropist Marianna Kistler Beach (b. November 24, 1919) died at her Lawrence, Kansas home on Nov. 1, 2014. Beach was a 1941 graduate of Kansas State University. An ardent supporter of the arts, she was instrumental in convincing her husband Ross to provide the lead gift for the Marianna Kistler Beach Museum of Art in commemoration of their 50th anniversary. Other gifts to the university include the Ross Beach chair for mass communications. A celebration of Marianna Kistler Beach’s life will be at 2 p.m. Sunday, Nov. 16, 2014 at the K-State Alumni Center. 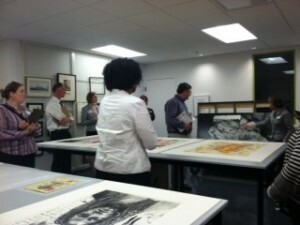 A reception will follow at the Beach Museum of Art on the Kansas State University campus. For questions about the Celebration of Life program, contact the Beach Museum of Art at 785-532-7718. Would you lend your hands for a fall Meadow Day on October 4? 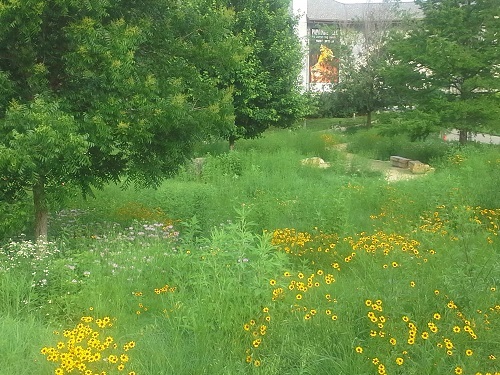 We will be working together to remove weeds and complete other tasks that prepare The Meadow for vibrant spring growth. The Kansas State Book Network (KSBN) recently announced its selection for the 2014 Common Book, Steven Johnson’s The Ghost Map. Described by KSBN as “a historical account of the terrifying outbreak of cholera in the summer of 1854 in London and how a pair of interdisciplinary thinkers work to find a solution to the deadly problem”, The Ghost Map is also a stark reminder that even in our so-called “modern” world, people still struggle with the deadly ramifications of the lack of basic sanitation services. This year, the Beach Museum of Art will again select a Common Work of Art and create programming in support of the campus-wide Common Book program. With the 2014 Common Book announcement, it seemed fitting to reflect on last year’s experience. 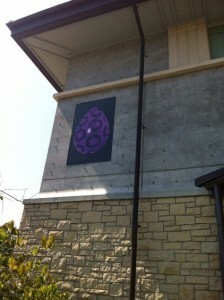 The inaugural Common Work of Art was presented in 2013 in conjunction with the K-State Common Book, Ready Player One by Ernest Cline. When the book selection was announced, the Beach Museum of Art staff collectively agreed that the museum should get involved. It was decided that one art object that reflected the themes and issues presented in the Common Book would be chosen for installation in a gallery. Beach Museum of Art staff developed a list of objects from the permanent collection and invited the 2013 KSBN selection committee to view them. This was extremely valuable as it gave us insight into the reasoning behind the Common Book selection and helped us see visitors’ initial impressions of the objects. Gordon Parks (United States, 1912-2006), Flavio Amuses Smaller Brothers and Sisters (Holding Up Torn Paper), 1961. 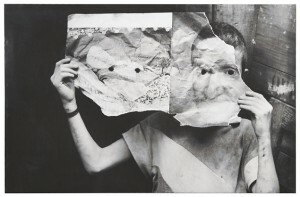 Based on that feedback, Gordon Parks’ Flavio Amuses Smaller Brothers and Sisters (Holding Up Torn Paper) was selected as the inaugural Common Work of Art. Parks not only has connections to the State of Kansas (a Fort Scott native) and the Manhattan community, his photograph depicting a young man in a Brazilian favela, or slum, mirrored the living conditions of Ready Player One’s young male protagonist Wade. It was a pleasant surprise to learn that author Ernest Cline envisioned favelas when writing about the overpopulated and dilapidated “stacks” environment where Wade lived. Earning points by submitting to The Mosaic, an artistic response to the Common Work of Art. Part of the daily campus clue featuring a sculpture search. Part of the daily campus clue featuring Willie the Wildcat. Earning points by viewing the Common Work of Art. Earning points by joining the Beach Museum Gunter Clan. Collaborating with other campus units in developing programs and activities in conjunction with the 2013 K-State Common Book was extremely gratifying. Students visited the Beach Museum of Art for the first time, interacted with their peers and our staff (including our enthusiastic student employees), created art, and discovered new ways to view themselves and their place in the world. We couldn’t hope for better outcomes. The 2013 Common Work of Art is on view until May 25, 2014.